This weekend is only a day away! 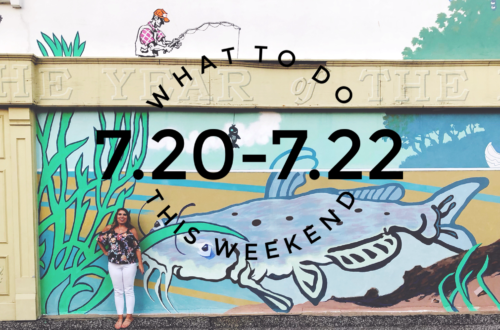 This weeks ‘What To Do This Weekend’ has been pushed a day since we had a little hump-day celebration of freedom yesterday. 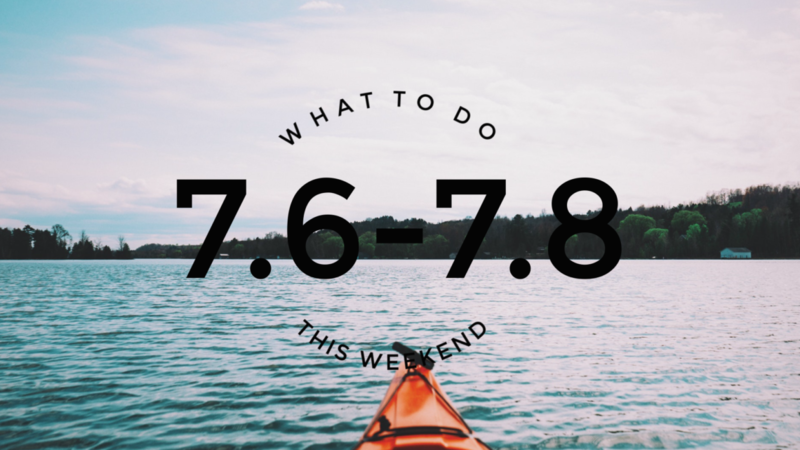 This weekend should be spend relaxing indoors because this heat is KILLER! 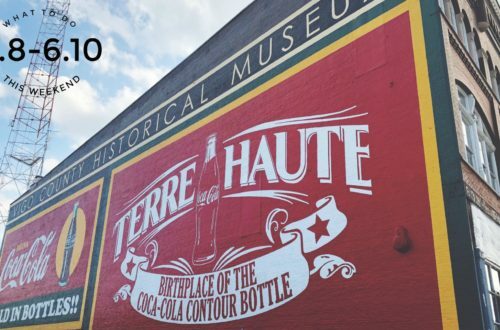 Below we’ve got Terre Haute’s First Friday event downtown, the Vigo County Fair is happening so stay away from the South end if you can, & stuff your face at the Food Truck Festival in Indianapolis. Every First Friday, enjoy dinner features created by Executive Chef, Amanda Shook. Chef’s Night at Clabber Girl Bake Shop will begin at 6PM and only our chef created dinner entrees will be available. No reservations needed. Live music and cash bar available! Dark Chocolate Banana Truffle – Dark chocolate, cream and fresh banana puree rolled into a truffle and dipped in coconut infused chocolate The Terre Haute First Friday RAD RIDE!!. Join us at the Griffin Bike Park tent downtown from 6-8pm for a fun, exciting, easy paced ride through the streets of downtown. Short and medium length rides available. Wheelies will be ridden, curbs will be jumped and fun will be had! This is a free event and family friendly! 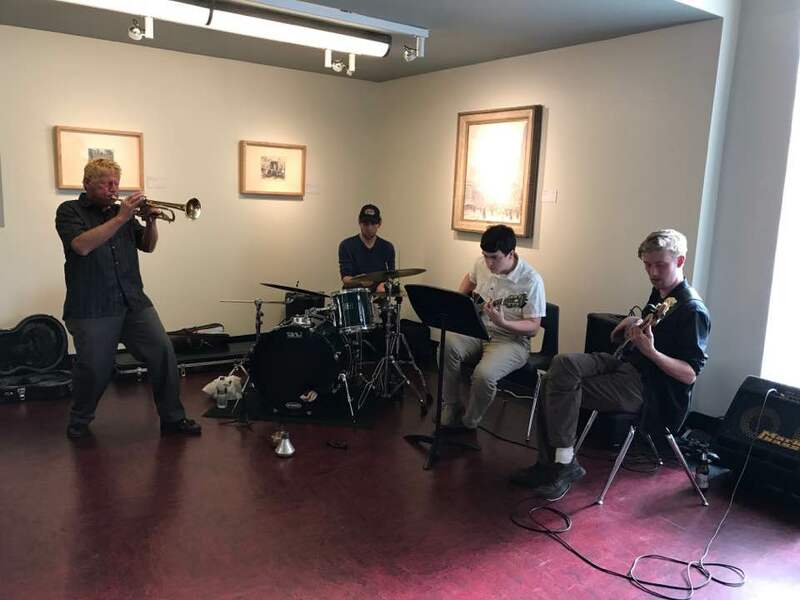 The Swope Art Museum is hosting Art and Jazz! Please join them for patriotic jazz music with Marshall Rector. The band will play from 5-7:30. Special exhibit on view David Hayes: Permanent Nature. 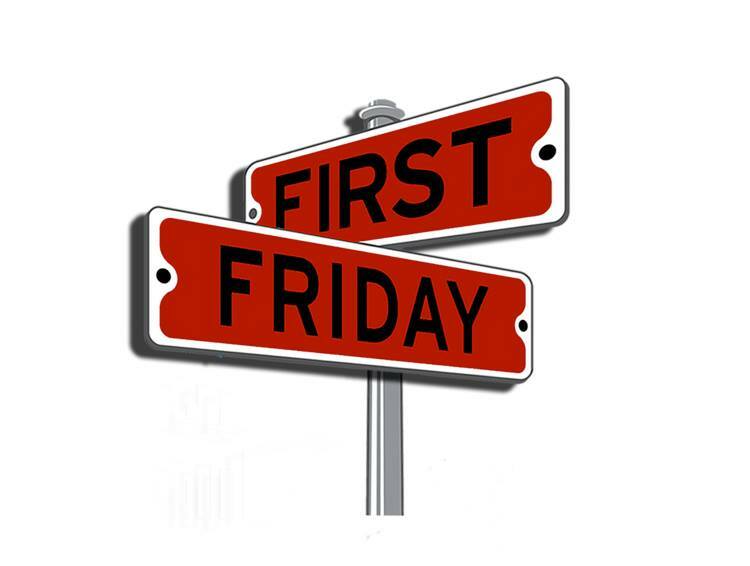 Downtown Terre Haute- THCC theme is First Friday- Downtown Salutes come downtown, you don’t want to miss out!!! Join us for the opening weekend of Crossroads Repertory Theatre’s production of Hairspray: The Broadway Musical! The show runs this weekend on Friday, July 6th and Saturday, July 7th at 7:30pm, then again on July 8th at 4:00pm. The show will play in Dreiser Theater (221 N. 6th Street, Terre Haute, IN) located on the Indiana State University campus. 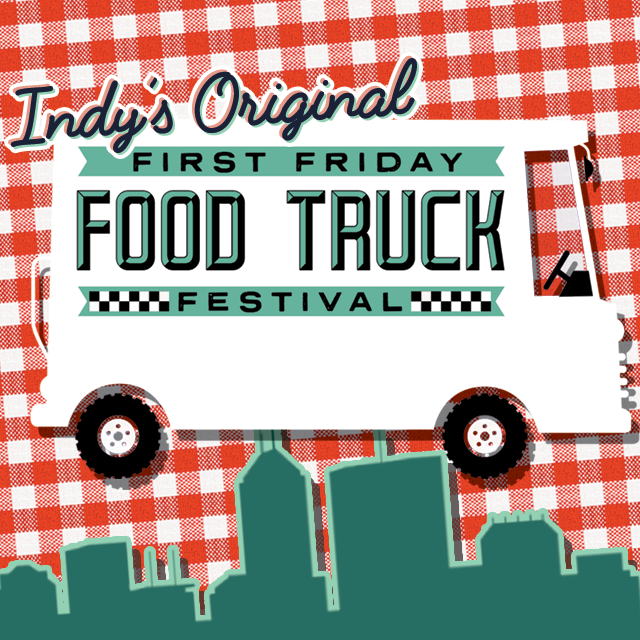 For tickets, call us at 812-237-3334 Join us for Indy’s Original First Friday Food Truck Festival Downtown at Old National Centre! 25+ of Indy’s BEST Food Trucks will be on site in the Old National Centre parking lot, delicious food and snacks await! While the lineup changes each month some of your favorites are sure to deliver, plus you might find a new truck to love. FFFTF veterans; Pierogi Love Indy llc, Ali Baba’s Cafe, The Flying Cupcake, Caplinger’s Fresh Catch, and Gigi’s Cupcakes will all be onsite throughout the season! BACK FOR 2018 – LIVE MUSIC! We’re SO excited to partner with our friends at Sam Ash Music Stores to bring live, local music back to First Friday Food Truck Festival! Catch the incredible musicians of ALL ages on the new Sam Ash Stage with exclusive performances by Ash Rock music students! With killer covers and impressive originals, the bands of Ash Rock are sure to play something for everyone! Lineups change monthly! We’re thankful once again for the support from our local partners: RadioNOW 100.9, Indy Eleven Professional Soccer, Indy Fuel, Indiana Pacers, and the Indianapolis Colts. They will ALL be at First Friday Food Truck Festival with great games and even better swag + prizes for you to win. 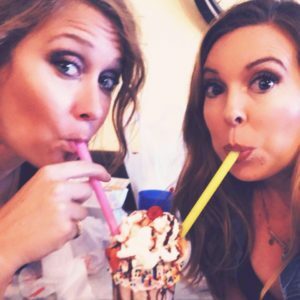 Check out their social pages for chances to win tickets to ANY First Friday Food Truck Festival in 2018! As always, tickets are JUST $5.00 at the gate & all the fun starts at 5:00pm. Dogs are welcome as long as they are leashed. This is a family-friendly event which means kids 5 and under are free! We can’t wait to see you at this season’s First Friday Food Truck Festival! 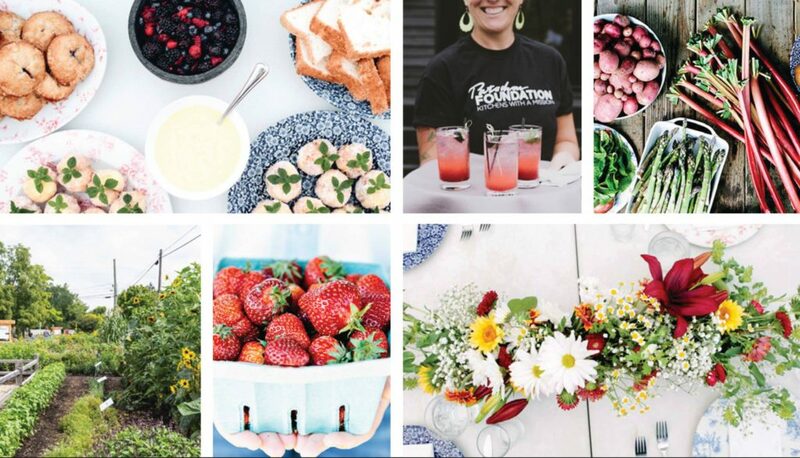 Join Public Greens for the fourth-annual First Friday on the Farm series for a farm-to-table dinner and the opportunity to hear from farmer and beekeeper Kate, tour the microfarm on the Monon Trail, and dine community-style at Public Greens. The evening includes a spectacular three-course meal using Public Greens microfarm produce, seasonal cocktails, wine and beer. It’s a perfect way to spend a summer evening with family and friends while giving back to your community. Each ticket purchased will fund 20 meals for food-insecure kids in Indianapolis. 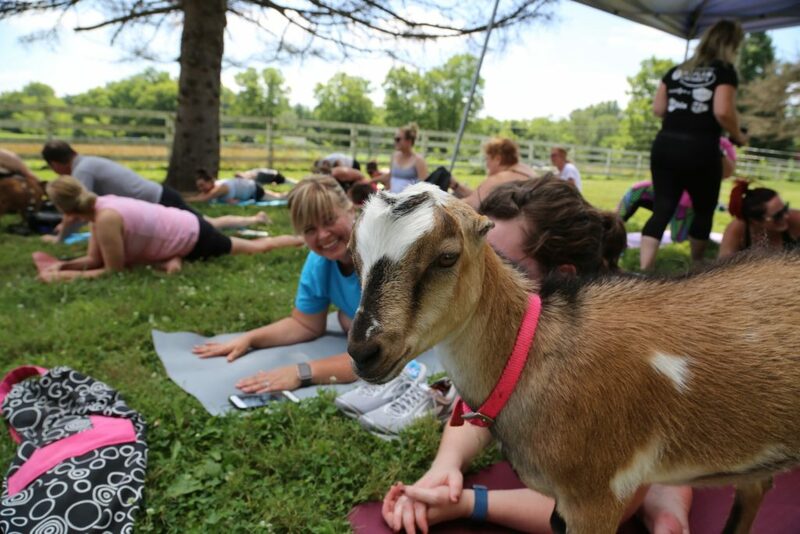 End the work week with basic flow yoga at Happy Goat Lucky Yoga in Noblesville, with the company of baby goats while the sun starts to set. Yoga begins at 7:30pm. 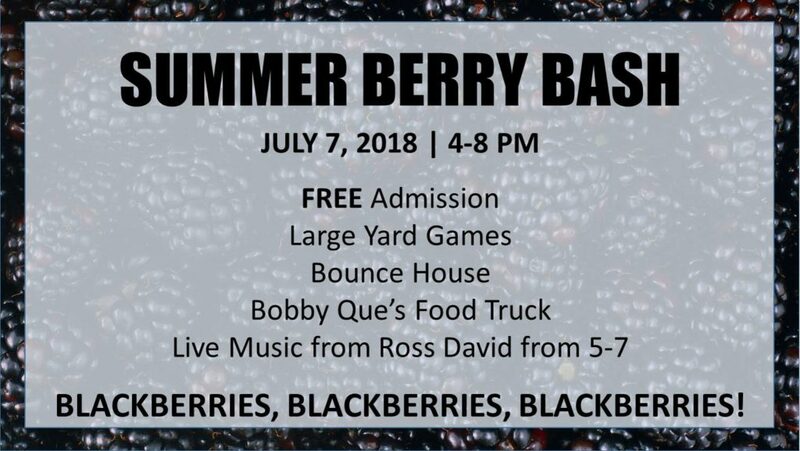 July 7, 2018 will be Fresh on Cypress at Miller Farm’s first ever Summer Berry Bash, co-hosted by their friends at Bobby Que’s, with live music from the talented Ross David from 5-7! Huckleberry Hill Winery will also be on site with wines and lemonade for purchase! The event will run from 4-8pm. The patch will be open and ready for picking! 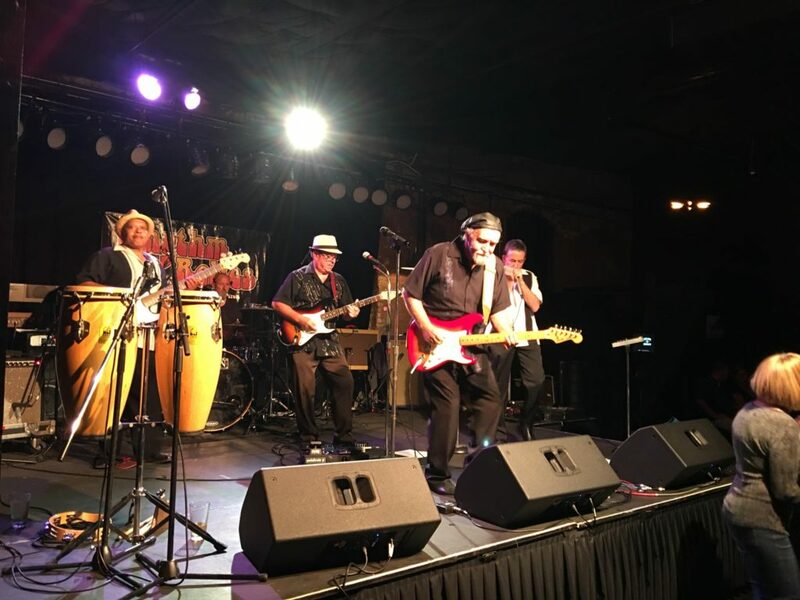 The Rhythm Relics will be performing at Charlie’s Pub & Grub on their beautiful outdoor patio this Saturday from 8-11pm. The National Bank of Indianapolis Summer Night Film Series takes place this Friday and doors open at 7pm. You can watch movies under the stars every weekend at Newfields. You can enjoy a picnic dinner, music, and activities, followed by that night’s movie, which will begin when twilight turns to night (usually 9:30 pm). Over the summer, 19 movies will be shown—everything from black-and-white classics to modern blockbusters. All you need is a picnic (with non-alcoholic beverages only), chairs (for the back row of each tier), and blankets (in case the chair row is full). Oh, and sunscreen and bug spray. No alcohol, pets, candles taller than 12 inches, or knives permitted. And if you want to travel light with just a chair and blanket, King David Dogs and Sun King Brewing Company will be there with franks and craft beers, respectively, to purchase. 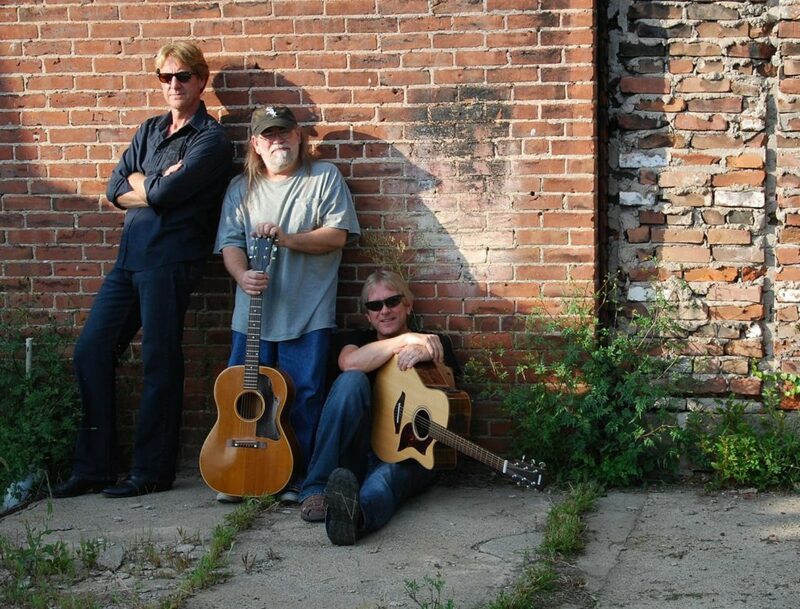 Enjoy acoustic tunes, harmonies from Don Keegan, Mark and Dave Peterson. The WaterTower Estates Winery presents Fab Too from 7-9pm. 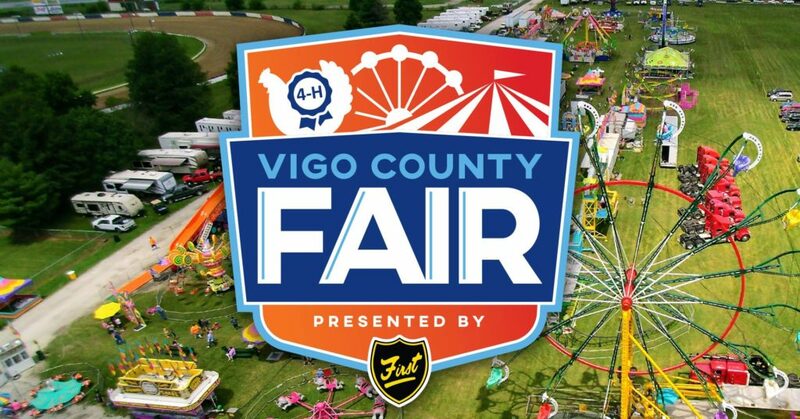 The Vigo County Fair takes place July 7th-14th at the Wabash Valley Fairgrounds. Festivities kick off this Saturday with the Horse & Pony Show at 9am and ending with Mullet Over playing the main stage at 7pm. The fair is full of carnival rides and fried food. To check out the schedule of events, check out their website here. 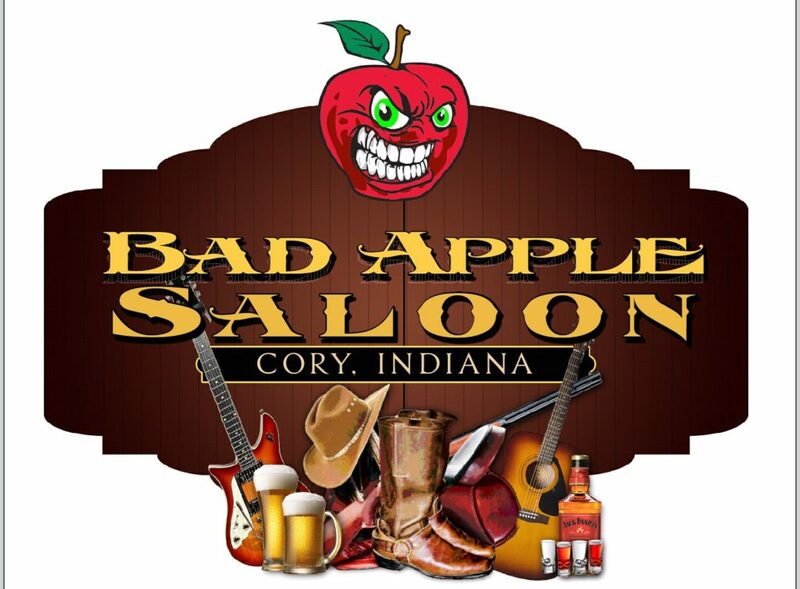 Hairbangers Ball once again takes the Bad Apple Stage. This will be their only performance this year at our venue. You won’t want to miss a great night of entertainment!! They go on at 8pm. Making waves in the Hoosier state as an up-and-coming country music recording artist, Christine Nicole has performed live for 5 years and has played over 1,000 shows with her 6 piece band—creating an energetic and fun experience for music lovers statewide. 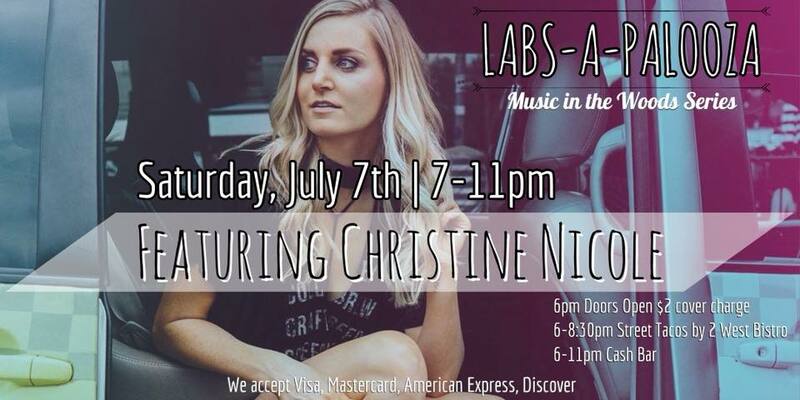 Join 3 Fat Labs Wedding & Event Barn this Saturday, July 7th from 7-11pm as we kick off Labs-A-Palooza—Music in the Woods—featuring Christine Nicole and street tacos by 2 West Bistro! The National Bank of Indianapolis Summer Night Film Series takes place this Saturday and doors open at 7pm. The Vigo County Fair is hosting a Broken Horn Rodeo at the Wabash Valley Fairgrounds this Sunday with Boot City. 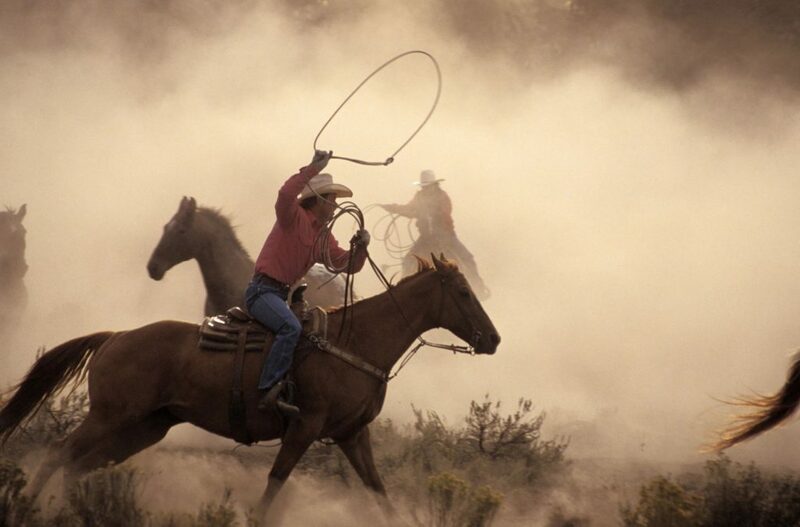 There will be bull riding beginning at 7pm and tickets are $10. Detox to Retox is Hotel Tango‘s monthly yoga class. Enjoy an hour-long class by the stills and barrels, followed by a cocktail of your choice! Your ticket includes one hour of yoga (normally $17 at the studio) and a cocktail of your choice (normally $10-13)! Doors open at 10:00 a.m. and yoga instruction begins at 10:30 am. 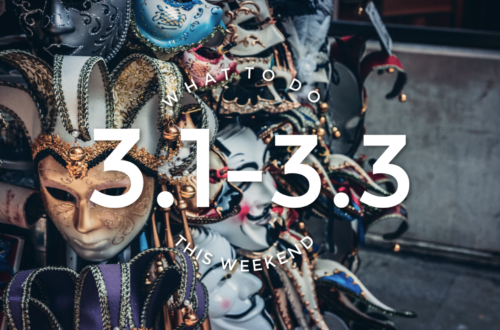 Hotel Tango opens to the public at noon | Detox to Retox is every second Sunday (normally) | All events at Hotel Tango are 21+ Join Flashbacks Family Bar & Grille for a Creative Gatherings’ Wood Painting Party. This is not freehand painting. Anyone has the ability to paint a beautiful sign with our vinyl stencils. What makes us different? We have over 900 designs and 6 stain colors that you can choose from. Everyone gets to create a sign that they will actually hang up. You can see your options on the ordering page. We have 2 collections of signs: Ready2Paint and Personalized. Our signs cost between $30-60. You pay a $10 or $20 non-refundable security deposit that goes towards the cost of your sign. At the party, you will pay the remaining balance in CASH. 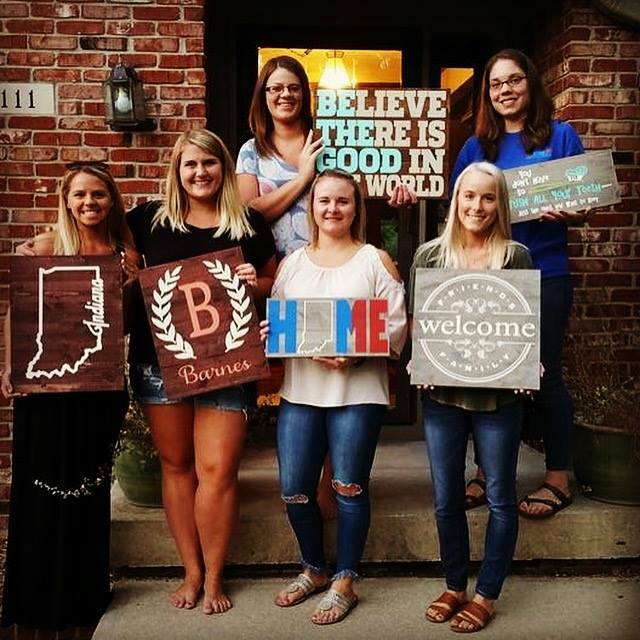 We will show you how to create your sign. We will have over 60 paint colors that you can use from at the party. As a thank you for supporting Creative Gatherings, we will include a FREE glass of wine! Remember you must pre-order your signs by Tuesday, July 3rd at 10:00 AM. This event has a maximum of 20 signs. Once it is filled we will post on here that it is sold-out. If you have any questions, please email us at creativegatheringsindy@gmail.com. Click on the link below on this Google Sheet. It can take up to 3 days after ordering for your sign to be processed into this sheet.